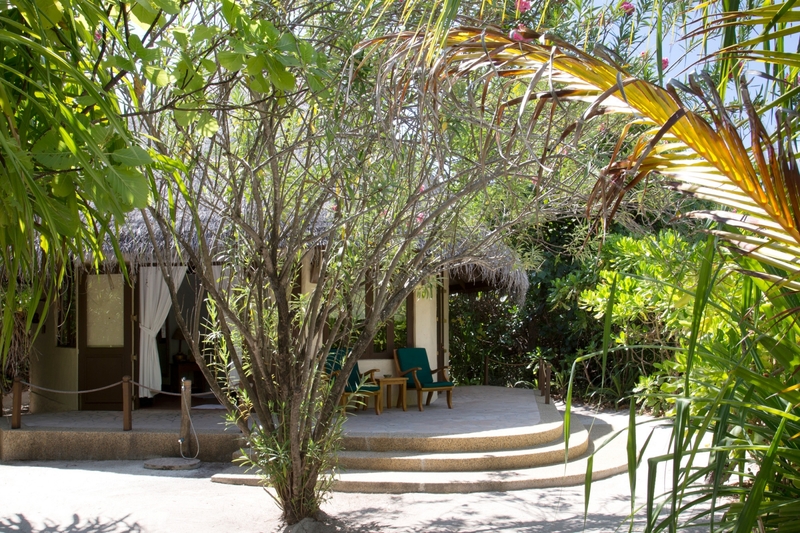 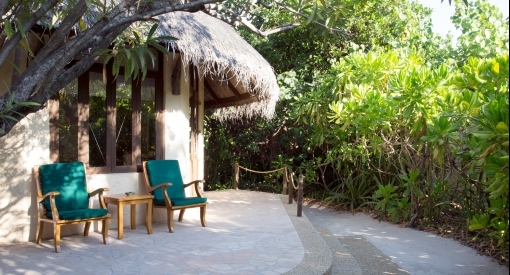 A Sunset Beach Villa is the perfect private platform from which to watch the sky’s orange-hued nightly show. 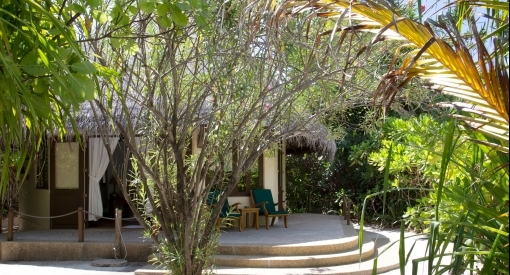 Dotted along the Western shores and romantically secluded within the plush foliage, our 25 Maldives Beach Villas are situated to capture the full splendor of the magnificent sunsets we enjoy on Dhuni Kolhu. 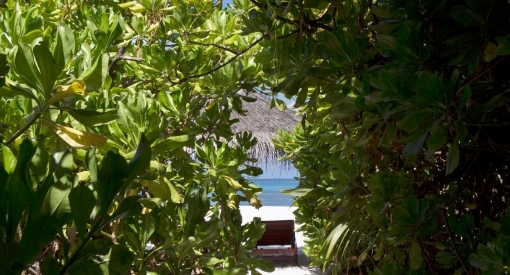 There is no better place to watch day transform into night over the Indian Ocean than from the loungers awaiting you at the end of your private walkway to the beach. 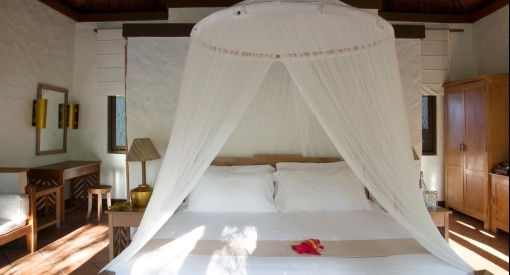 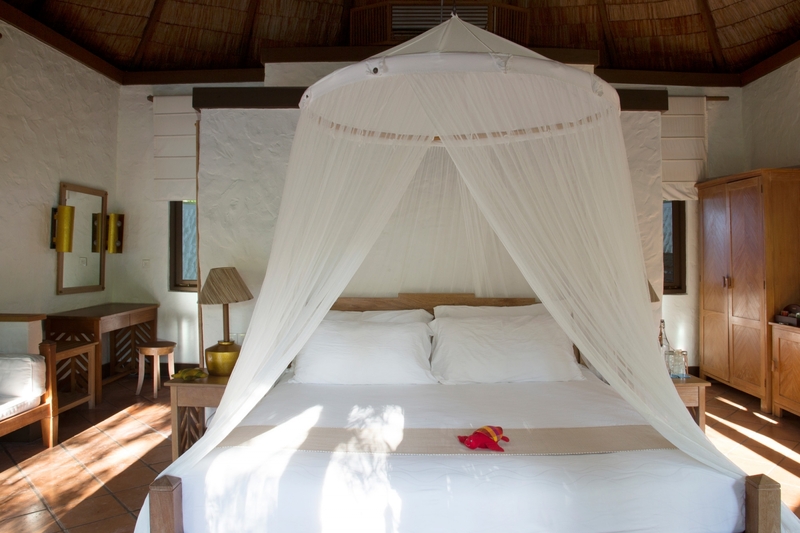 Each Maldives Beach Villa is 87 square metres of charming design simplicity, featuring a luxurious king-size bed with net canopy, seating areas, writing desk, dressing table, wash basin and wardrobe. 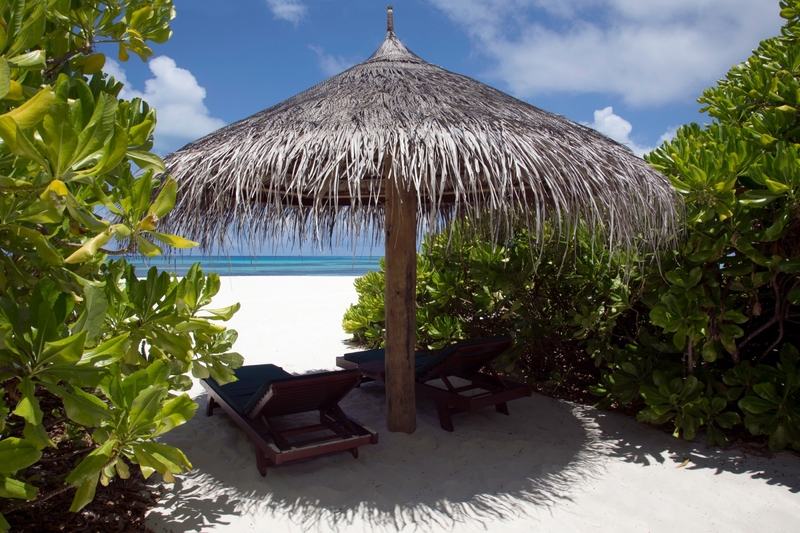 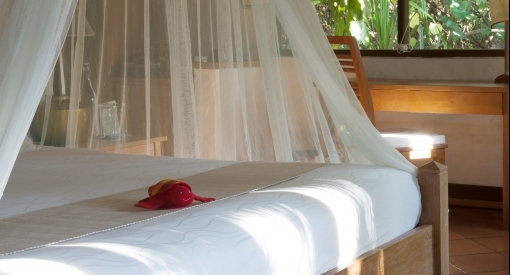 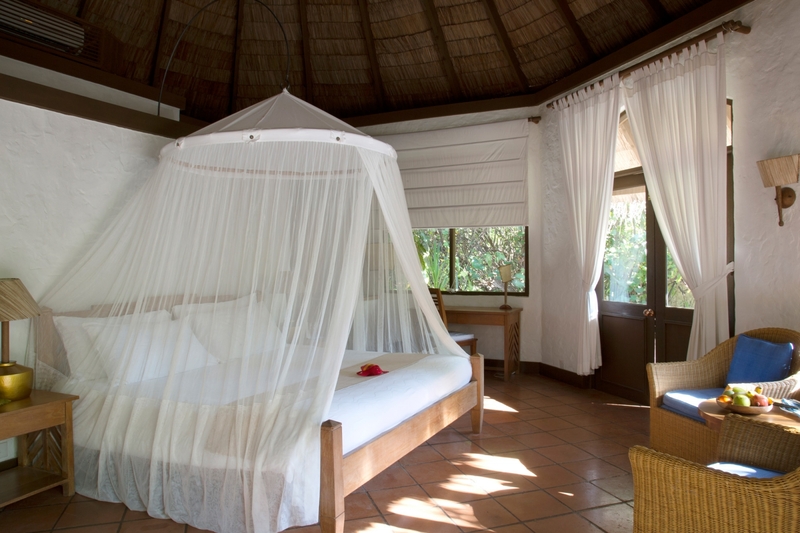 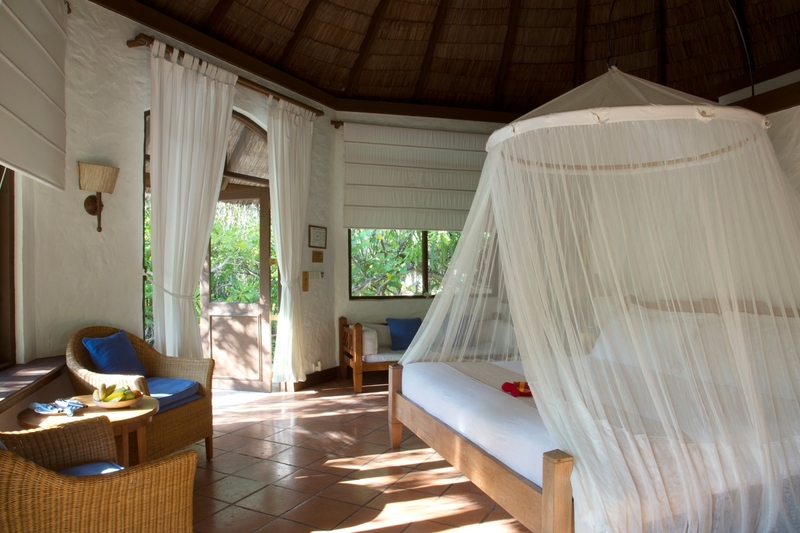 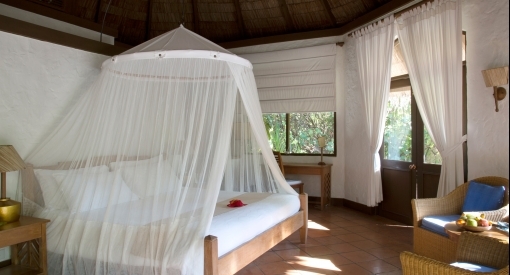 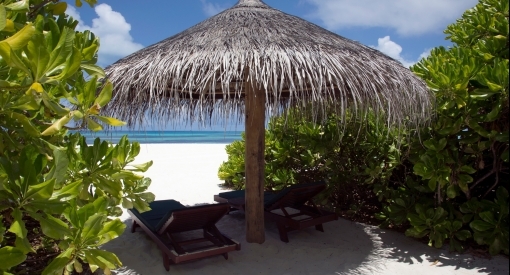 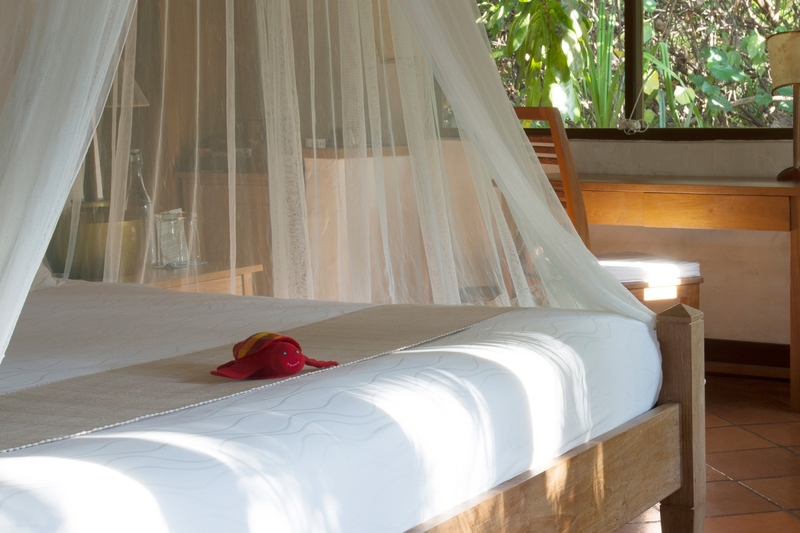 Armchairs on your terrace offer shade under the wide thatched roof of your villa. 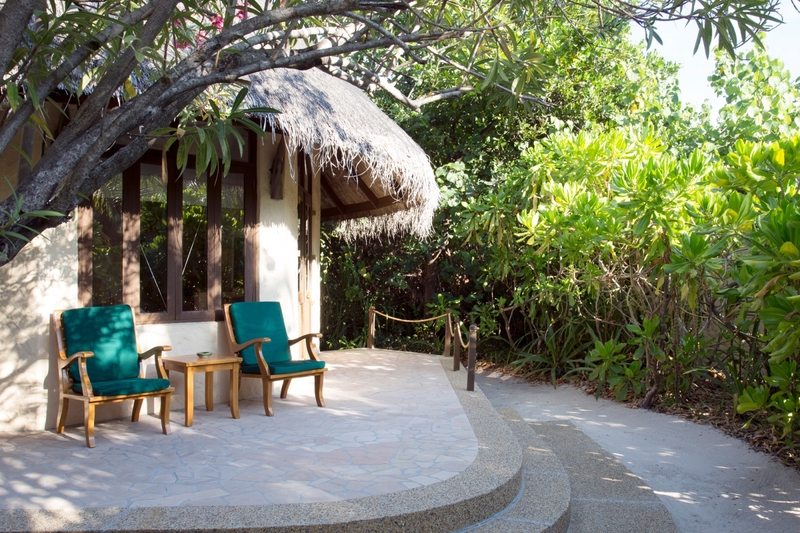 The sound of the thatch fringe and mature tropical plants and trees in the soft breeze perfectly captures the mood of island life. 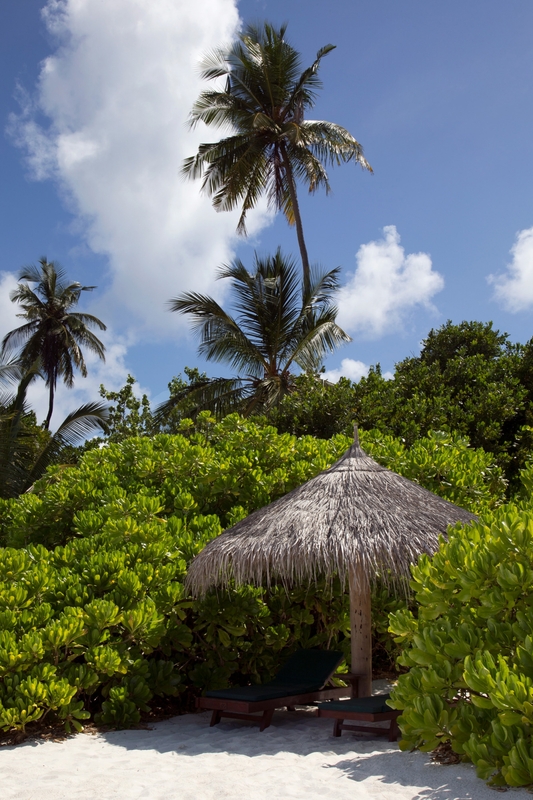 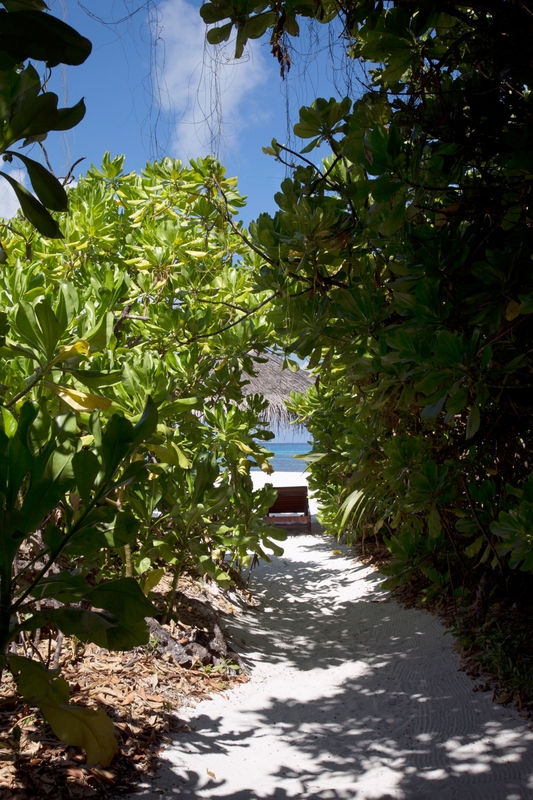 A walk along a short, canopied pathway lined with vibrant plants and trees leads to the largest stretch of beach on the island and the lagoon beyond. 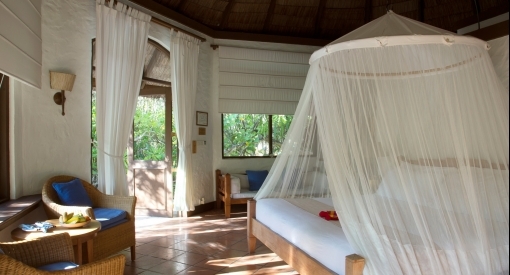 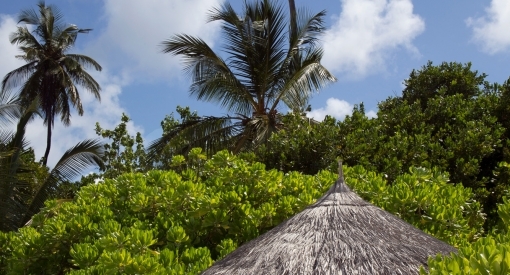 Why not upgrade to a Deluxe Villa?